Character with power to generate (or makes it easy to generate) sunshine powerups. Distribution: Exclusive Unlock in Diamond Box. After the emoji is unlocked, it is added to the Gold Box. Tap to find a donut and attract Clawhauser emojis. Tap the board to uncover delicious pastries which Clawhauser emojis cannot resist. There you went, you little dickens! Clawhauser’s power tends to create sunshine powerups. Tap to deflect incoming blaster shots before they strike. Use the Force, Luke! The enemy is approaching. I have a very bad feeling about this. Watch the light changes to know what direction the Evil Empire is coming from. 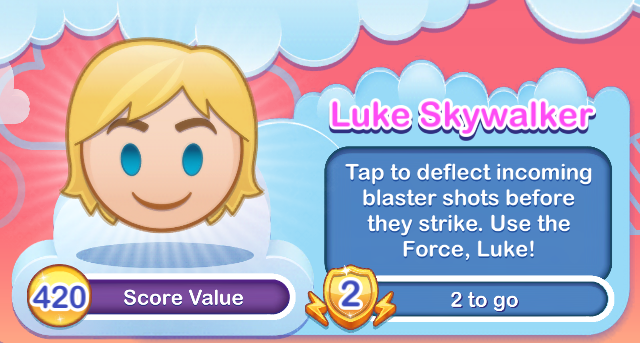 Use your Jedi training and tap the board in the light beam to lift your light saber and block the incoming attack. The reward would be… well, more wealth than you can imagine! Resurrects your most recently used powerups from the grave. Take a do-over – a mulligan, another shot, a redo, a second chance – on your most recently used powerups. Winifred Sanderson will bring them back from the dead to give you another shot at success. Snow White’s animal friends bring Sunshine to the board! When Snow White is not washing, sewing, sweeping, cooking, or baking gooseberry pies, she and her animal friends can be found bringing sunshine powerups to everyone’s lives! 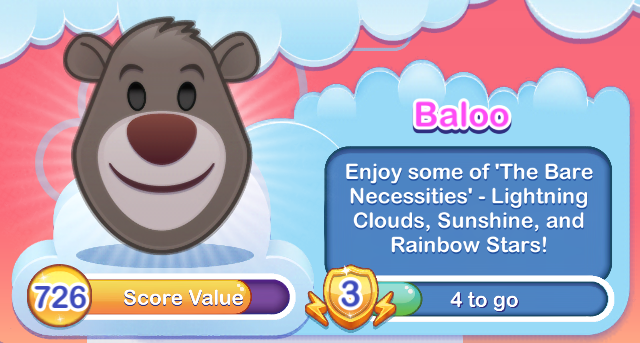 Enjoy some of ‘The Bare Necessities’ – Lightning Clouds, Sunshine, and Rainbow Stars! All you need to get through life are Old Mother Nature’s recipes, the bare necessities! Columns of fruits fall away to reveal powerups. Tap an emoji to create a Sunshine and spread Joy nearby! Touch the screen to drop a sunshine emoji. 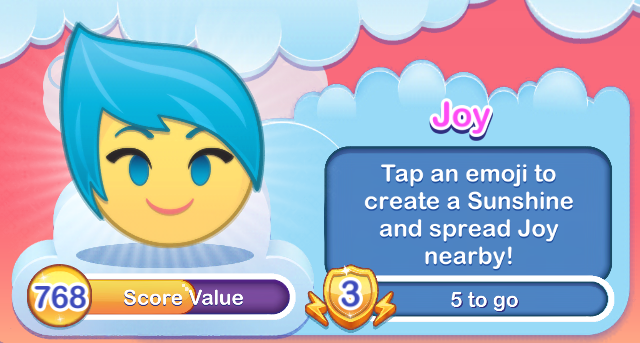 With higher power levels, additional Joy emojis also appear nearby. 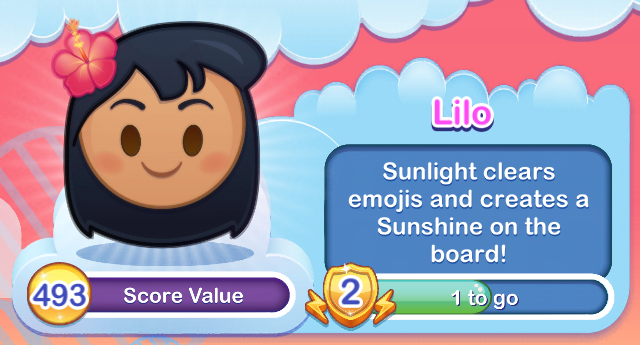 Sunlight clears emojis and creates a sunshine on the board! Sunshine and Stitch come to assist Lilo. A sunshine will appear on the top-center of the board, often useful to clear the top row. 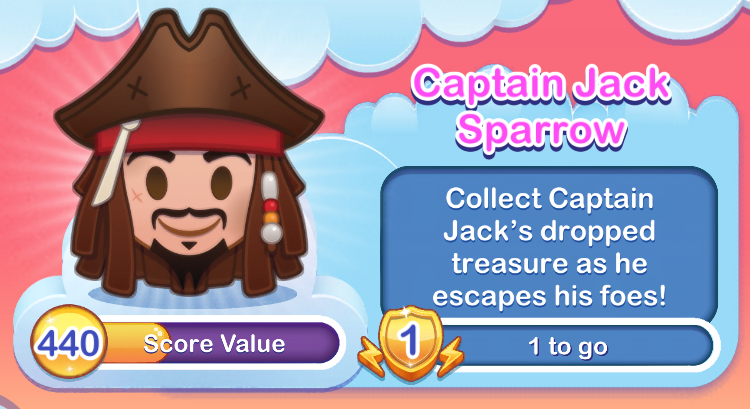 Collect Captain Jack’s dropped treasure as he escapes his foes! Captain Jack appears with a treasure chest, but quickly drops it when chased by Barbosa, Davy Jones, and Blackbeard. Hit the chest with a Sunshine or Lightning-Cloud blast to earn extra gold coins! It’s summer! Olaf makes sunshine power ups above his head! 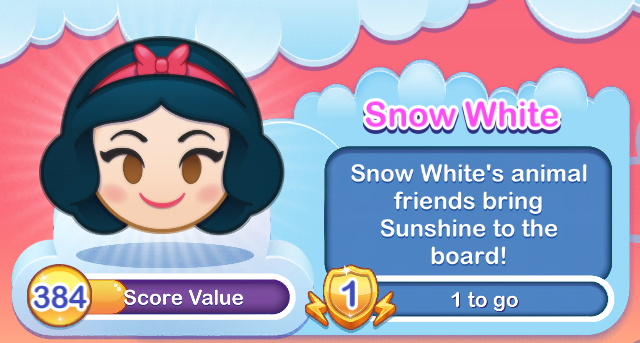 Olaf leaves sunshine power ups in the center of the board. The higher Olaf’s level, the more sunshines he leaves. Bibbidi Bobbidi Boo! 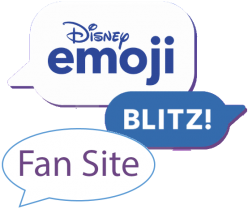 Turn Cinderella emojis into Sunshine! 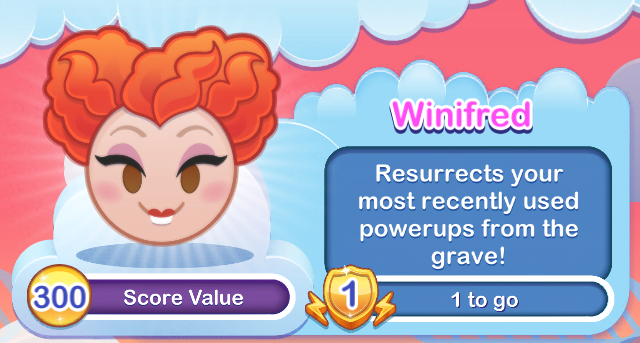 With a wave of the Fairy Godmother’s want, Cinderella emojis transform into sunshine powerups. The higher Cinderella’s level, the more emojis that are transformed.